International (MNN) — War is a constant in today’s global headlines: ISIS war comes to Jakarta; starvation an active war crime in Syria; prisoner of war protections don’t apply in Iran. In Asia and throughout the world, Handley says current events can mostly be described by a familiar business and military acronym: VUCA. VUCA stands for Volatility, Uncertainty, Complexity, and Ambiguity. Leadership plays a critical role in calming frayed nerves, both in spiritual circles and other social strata. “Typically, we as people run to those types of leaders that look like King Saul: he looks like a strong leader; he’s someone that would make a ‘game-changing’ difference,” observes Handley. In biblical times, as well as today, shepherds have little-to-no social significance. But, their skills of humble and gentle leadership are what Asian Access looks to replicate. 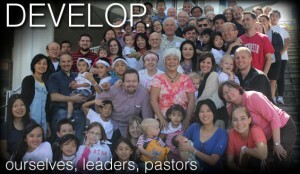 Learn more about what Asian Access does here. 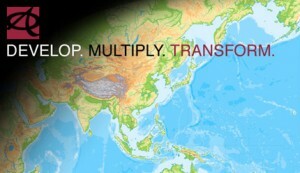 From Japan in the east to Turkey in the west, from Mongolia in the north to Indonesia in the south, Asian Access equips and empowers leaders great and small to fulfill the Great Commission. Asian Access is currently working in 11 nations and hopes to expand its reach in 2016. “We have five countries that are inviting us to come in, and we’re hoping to open two more this year,” Handley shares. “That will only happen with your prayer support, as you come alongside and pray for what God is doing in this volatile region of the world. See Asian Access investment options here. Photo credits: First photo, caption courtesy Matt Lemmon via Flickr... 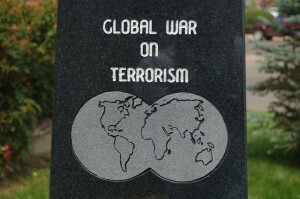 Global War on Terrorism Memorial at the Colorado State Welcome Center/Rest Area in Trinidad, Colorado. CC BY-SA 2.0Last image courtesy Reza Vaziri via Flickr.